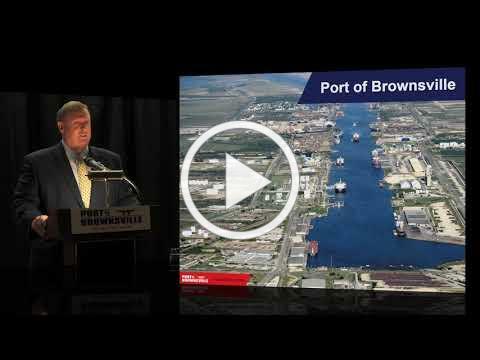 Brownsville Navigation District Vice Chairman John Reed delivers his remarks during the annual State of the Port Address March 8, 2018, at the Ambassador Events Center in Brownsville, Texas. Click on the image above to view the State of the Port Address Event Video. A full house of regional stakeholders applauded Port of Brownsville officials during reports of record revenue and tonnage in 2017 at its annual State of the Port Address March 8. The port's total operating revenue reached nearly $24 million in unaudited total revenue, exceeding the previous high-water mark of $19.9 million set in 2015 by more than $4 million. On the annual tonnage side of the business, the volume of cargo handled at the port topped 10.3 million short tons, also a new record. Click on the image above to view the State of the Port Address Remarks. 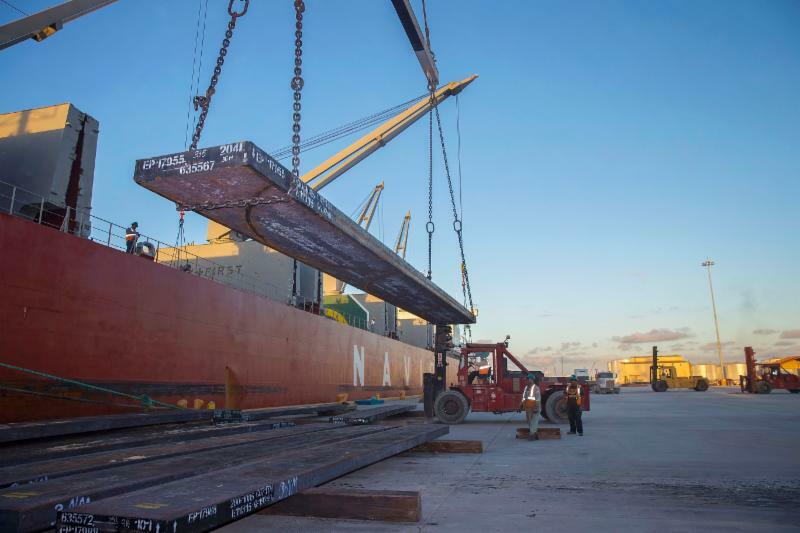 Modern docks have transformed the Port of Brownsville’s cargo matrix with a growing variety of international goods, such as steel products. The Lone Star State’s southernmost port, the Port of Brownsville, is looking forward to a transformational year as "the port that works," building upon record cargo tonnage of 10.3 million short tons and best-ever operating revenue of nearly $24 million achieved in 2017. Dry bulk, liquid bulk and breakbulk volumes are all reported on the rise. 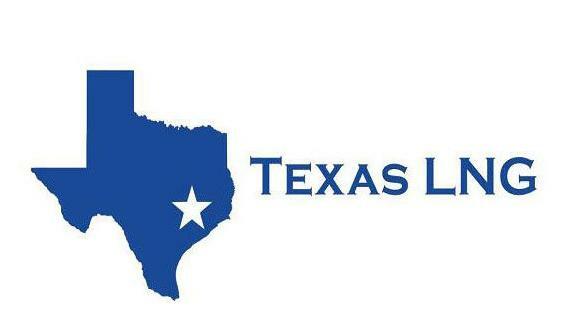 The above is an excerpt from the article titled "Texas Gulf ports preparing to handle still greater volumes of diverse cargo", written by Paul Scott Abbott for the American Journal of Transportation. The United States Coast Guard found the Brownsville Ship Channel to be suitable for marine traffic resulting from Texas LNG’s planned liquefaction terminal at the Port of Brownsville. The Port of Brownsville's logistical advantage and cargo handling capabilities are key in securing the construction of a $1.5 billion steel mill proposed by Big River Steel. 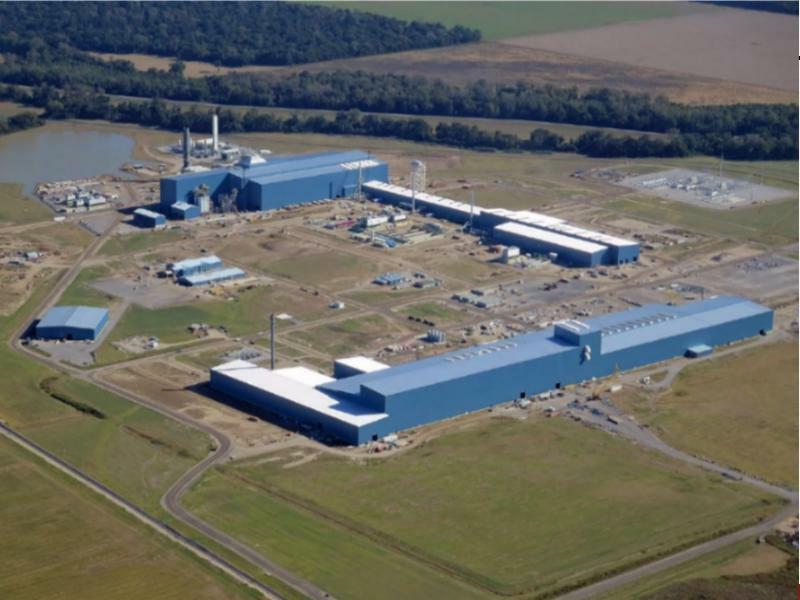 The Port of Brownsville’s senior director of marketing and business development believes the port is in with a good chance of landing Big River Steel’s second steel mill. Steve Tyndal gave a presentation about the port at Texas Southmost College to five site selectors from Germany. "I think our chances are good. We're one of two sites that have made the final selection process," Tyndal told the Rio Grande Guardian, at the end of his remarks to the site selectors. The five site selectors are associated with the European American Investment Council and specialize in helping manufacturing companies from Europe expand into North America. They made 21 stops around the Rio Grande Valley in just over two full days thanks to a tour organized by Rio South Texas Economic Council. The tour included a drive through the Port of Brownsville. 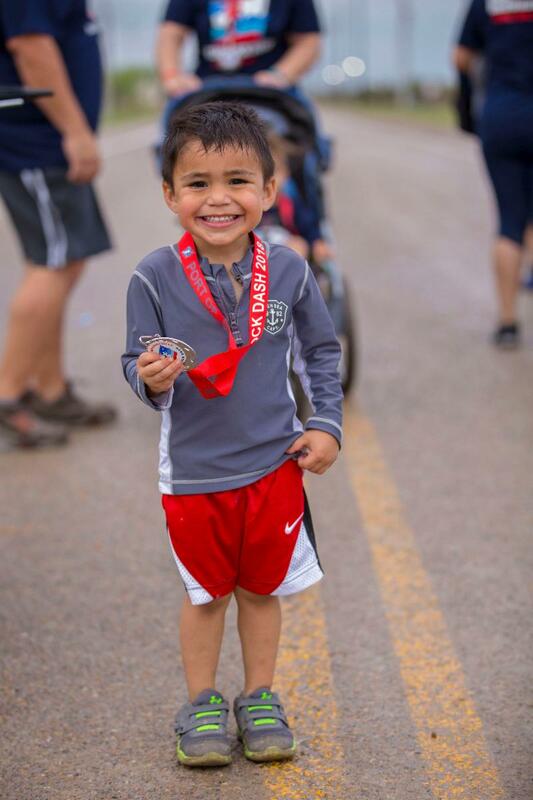 More than 400 participants attended the annual family-friendly 5K1M Dock Dash run/walk. 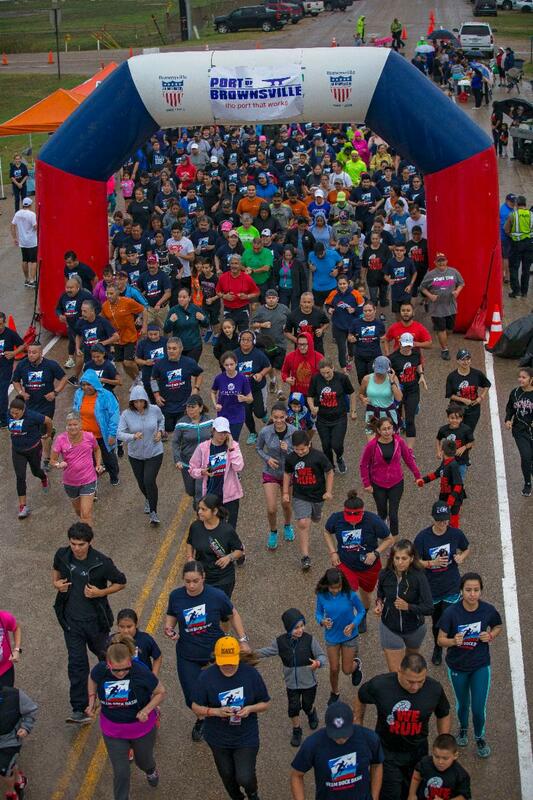 The family-oriented run/walk was the port's biggest race yet, with more than 400 participants from all over the Rio Grande Valley. Participants received a conmemorative t-shirt and a medal upon completing the race. 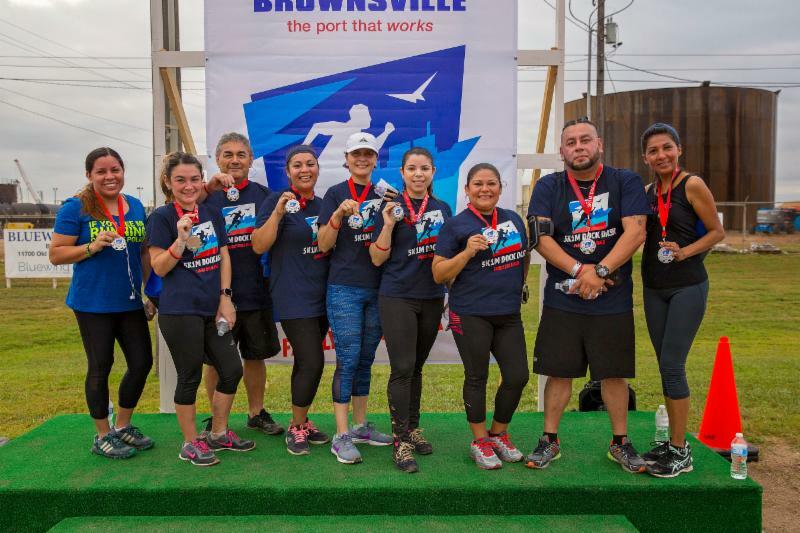 There’s still time to get your business featured in the 2018 edition of the Port of Brownsville Directory. 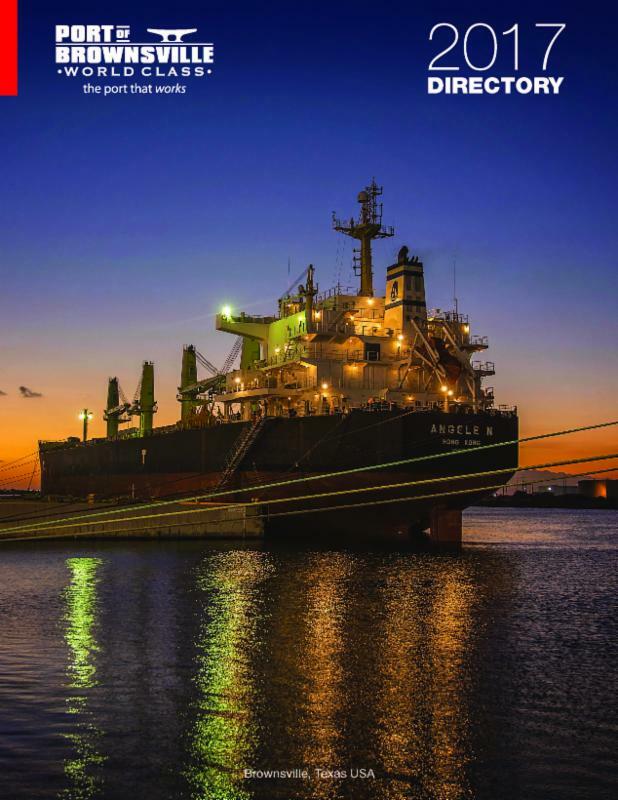 Scheduled for release this summer, the full-color publication serves as a useful guide for prospective clients looking to establish business opportunities in the region and for the community at large to learn more about the port’s role as a vital economic engine of the Rio Grande Valley. 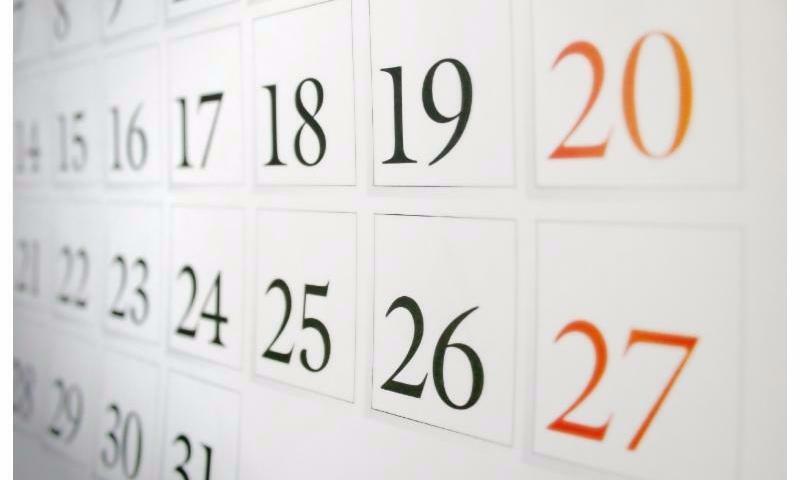 Do not miss your chance to purchase an advertising spot or have your business listed for free in the Green Pages section of the directory. 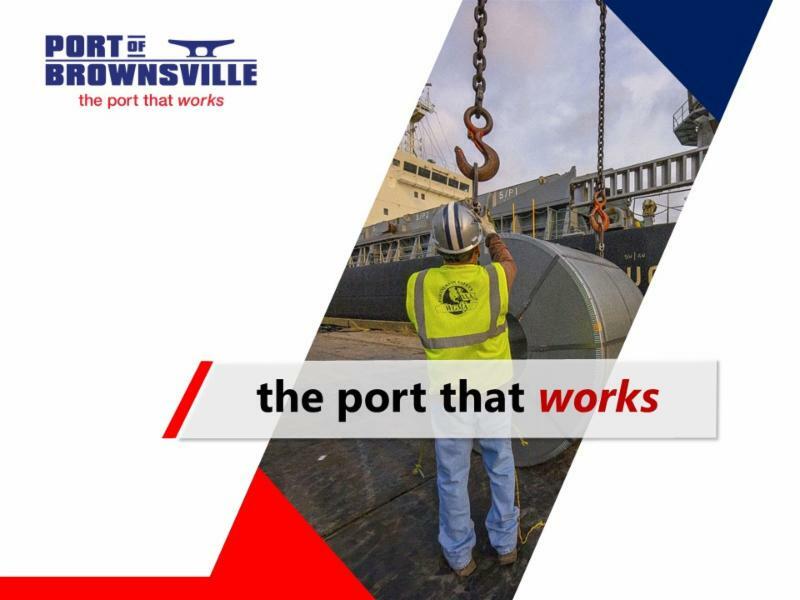 The Port of Brownsville's website was honored with the 2018 AVA Gold Digital Award in the Web-Based Production category for government entities. 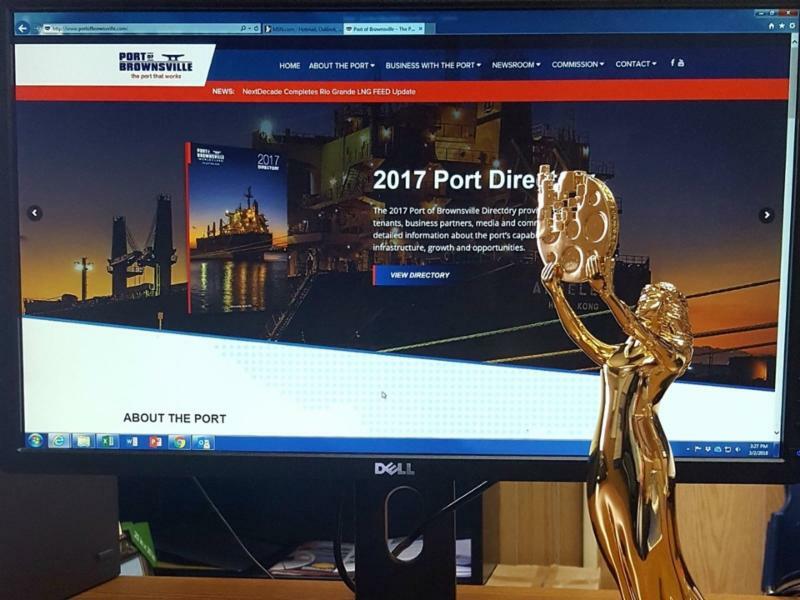 The Port of Brownsville was recognized with two prestigious 2018 AVA Digital Awards for design and content of its website and electronic newsletter.